NORTH SYDNEY FAMILY HISTORY GROUP: ARE ORDINARY ANCESTORS INTERESTING? Often when I have attended our North Sydney Genealogy Help Desk at Stanton Library people will tell me how uninteresting their ancestors are. Often they will say this apologetically. Does it come from people’s natural modesty or from a deep seated conviction about their own ordinariness? ‘There is no one interesting in my family tree’. I find though that it’s always the people who are at the beginning of their family history research journey that say this. People don’t realise just what they will find and how much there is out there to find. The further back in time you research the more ancestors you have and the more chance you will find someone of note. But I write this article not about the interesting ancestors but about the ordinary ones, who I believe are just as interesting. I think of Robert Ball my G, G, G, G, G, G, G, Grandfather. All I know about him is that he was living on a tiny piece of land called Hides Pasture in Warwickshire, England in 1670 and he had one hearth in his home. I know this from one document. 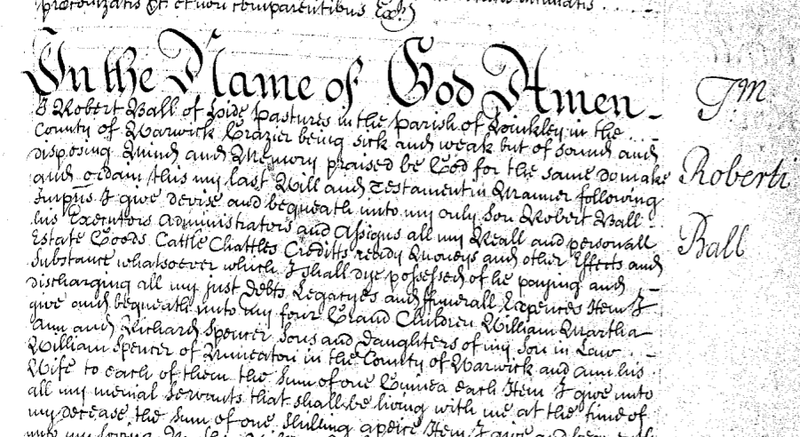 This is a Hearth Tax record from 1670. All it says is Rob Ball. Number of hearths=1. I can find his name mentioned in a couple of subsequent Hearth Tax records but nowhere else. Of course if all you can find is an ancestor’s name and maybe a common occupation it doesn’t tell you much about them. For women ancestors you typically find less than this. But to me just seeing the name Rob Ball written on such an ancient document by hand in a flowing ‘flowery’ script is magic. He has my surname which has been carried to me through the centuries. All the documented connections I made in my genealogical research from parent to child lead me back to this one name. My surname carried through the centuries. 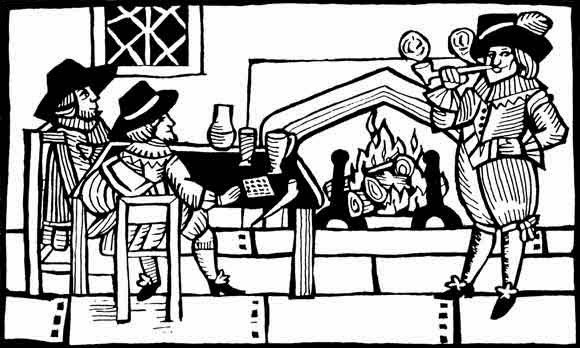 The English Hearth Tax was levied from 1662 to 1689. It was a tax imposed by parliament to support the household of Charles II. One shilling tax for one fireplace paid twice a year by every household. There was an element of fairness about it in that richer households had more hearths and they could afford to pay more. It was still very unpopular. (what tax isn’t). The tax collectors could march into people’s private homes and have a look around…for fireplaces. There were corrupt tax collectors, some people would try to hide their fireplaces (there were incidents of people burning their houses down) etc. Finally at the end the Glorious Revolution in 1688 the new rulers, William and Mary, abolished the tax. The great things about Hearth tax records are that they are the earliest written record which covered every household in England (except for maybe the Doomsday Book?) and that so many of these records have survived to the present day. There is a website devoted to their study that is a great source of family history information. I actually know quite a bit more about Rob Ball than I’ve told you, but only because I know a lot about his descendants. There were generations of them living in that same place for hundreds of years. It’s so small that I know anyone named Ball in Hides Pasture was one of my ancestors. Because I have his son Robert Ball’s will I also know they were all graziers on that land and Yeomen (they owned the land too). Robert’s will also reveals many things about the Ball family that I won’t detail here. Including that they were very unimaginative at thinking up their children’s names. Robert’s son was named Robert too. You might say that all I’ve shown is that an ordinary ancestor is only interesting if it is your own ancestor. Maybe that’s true but we all have ordinary ancestors….and if you research yours I guarantee they will be just as interesting to you as mine are to me! GENEALOGY AND GENES; WHO ARE WE REALLY?